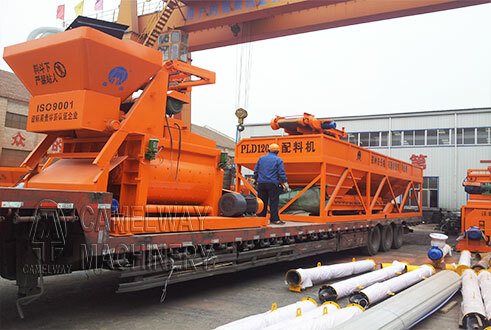 As a professional concrete batching plant producer, Zhengzhou CamelWay Machinery has produced concrete batching equipment which can satisfy your different requirements. JS series concrete mixer has the advantages—-reasonable design, compact structure, convenient operation, stable working, good mixing quality, high efficiency, low energy consumption, low noise and long life wearing parts, etc. JS series concrete mixer, which can be divided into JS500 concrete mixer, JS1000 concrete mixer, JS1500 concrete mixer, JS2000 concrete mixer etc. according to its capacity, is suitable to not only large construction project but also the small civil construction. 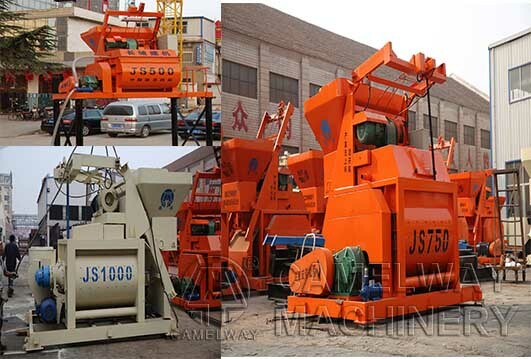 JS series concrete mixer, a self loading concrete mixer machine, can enjoy hydraulic material-lifting type, which will greatly improve the concrete mixer production efficiency.